Canberra Hospital. Health bosses must be made accountable, say doctors. File photo. Canberra’s doctors have again called for a Board of Inquiry into the workplace culture and bullying and harassment in the ACT Healthcare system including a push for health bosses to be questioned in public. The fresh call comes after a joint meeting of the AMA (ACT) and the Australian Salaried Medical Officers Federation, ACT Branch (ASMOF ACT) late last week where there was unanimous support for a Board of Inquiry that would see executives of ACT Health, and Canberra Hospital and Calvary Public Hospital held to account for their workplace culture. AMA (ACT) President Dr Antonio Di Dio said nothing less than a Board of Inquiry and public questioning of ACT healthcare executives would get to the bottom of “this mess”. 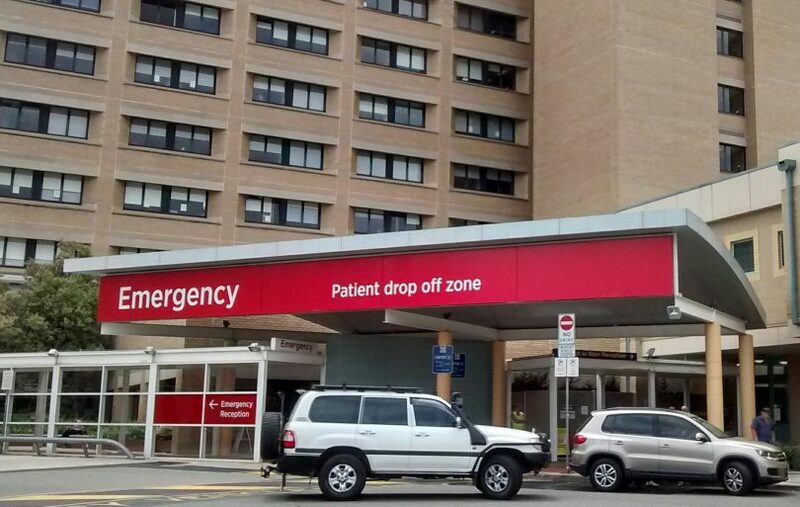 “An independent Board of Inquiry will have access to the health system’s policies, administrative records and information that will enable it to effectively question ACT Health and Calvary Public Hospital executives,” he said. ASMOF ACT Secretary Dr Richard Singer said Thursday’s “historic meeting” of ASMOF ACT and AMA (ACT) showed that doctors were united and want to clear these issues up once and for all. “The principle is simple – when you spend large amounts of public money and provide health care to our community, you must be publicly accountable for your workplace culture,” he said. ACT Health Minister Meegan Fitzharris last week announced a six-month independent review of ACT Health which will be tasked with investigating and reporting on culture and behavioural issues but stopped short of a Board of Inquiry as demanded by the AMA and the Canberra Liberals. Ms Fitzharris said the review would be chaired by an external eminent person and provide a final report and recommendations to government. But Dr Di Dio said the inquiry needed to hold public hearings like the recent Royal Commissions into child sexual abuse, and the banks. “I look at it this way – the recent Royal Commissions, into Institutional Responses to Child Sexual Abuse and into the Banks, held public and private hearings. But consider what would have happened if all their hearings had been held in private and the leaders of the various child welfare agencies, churches and schools or the executives of banks and insurance companies had never been questioned in public?” he said. “Clearly, they would have been much less effective in bringing about change and, importantly, the banks, child welfare agencies and others would never have been held to public account. He called on all parties to rise above politics and work together on getting a Board of Inquiry in place. Oh the stories staff could tell. Yes. But many of these bosses will be doctors as well. Yes!! Who the hell else has the answers?